KID CANNABIS is the true story of an Idaho teen dropout (Nate Norman) who builds a multimillion-dollar marijuana ring by trafficking drugs through the woods across the Canadian border. But his pursuit of the high life – complete with girls, guns, and vicious rival drug lords – may leave this ex-pizza boy in way over his head. Starring Jonathan Daniel Brown (Nate Norman) with Kenny Wormald (Topher Clark). Nate Norman is a FREE MAN! 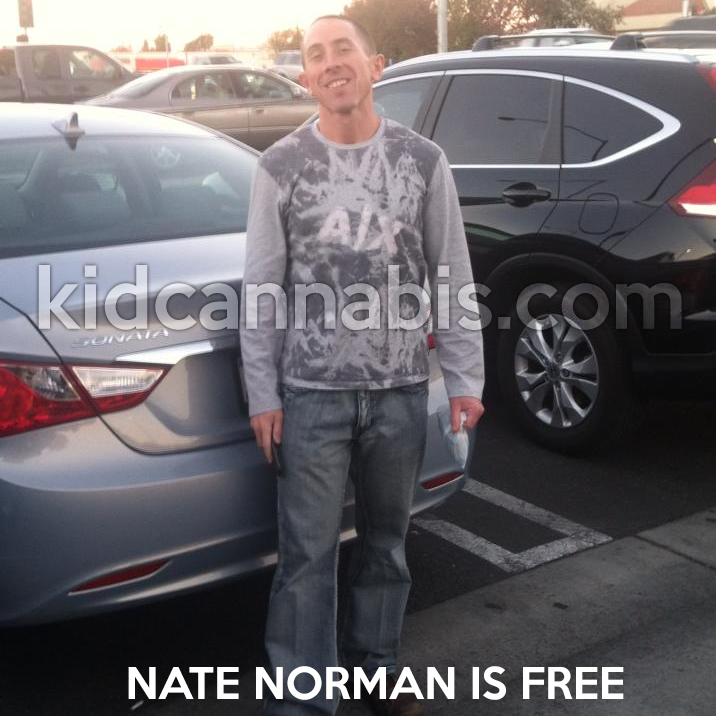 Nathaniel Nate Norman known as kid cannabis is a FREE man as of December 10th 2013. 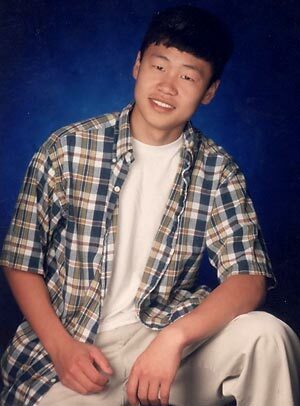 This photo was taken by his parents when he came out of prison and was treated to Starbucks. Kid Cannabis, the movie, coming 2013? John Stockwell ("Into the Blue," "Blue Crush") will adapt and direct "Kid Cannabis," based on the real-life story of young Idaho suburbanites who built a multimillion-dollar marijuana ring reports Variety. 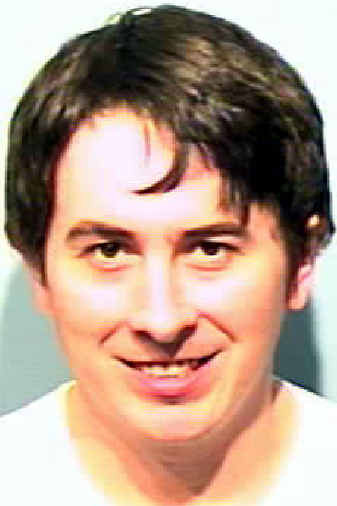 Stockwell optioned several articles about the illicit ring, including the 2005 Rolling Stone piece "Kid Cannabis: How a Chubby Pizza-Delivery Boy from Idaho Became a Drug Kingpin" by contributing editor Mark Binelli. Binelli's article focused on Nate Norman, a 19-year-old from Coeur D'Alene who ran the operation with six friends. By the time they got arrested, they had sold $38 million worth of marijuana smuggled from British Columbia. Stockwell, who is penning the script, will rely on Kevin Taylor's article "Dreaming in Green". At the time, Nate was a nineteen-year-old high school dropout who worked at a Pizza Hut in Coeur D'Alene -- a gorgeous but dull resort town in Idaho -- and sold the occasional dime bag on the side. 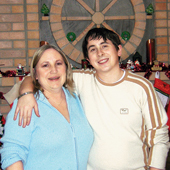 Chubby and baby-faced, Nate had never been the type to come up with a million-dollar brainstorm. "He was one of those guys everybody used to pick on," says his friend Scuzz -- Ben Scozzaro, a year ahead of Nate at Coeur D'Alene High. "He looks like the Keebler Elf. That's what we used to call him, actually." Nor was Nate much of a scholar. His girlfriend Buffy once received a letter in which Nate spelled "pot" with an extra "t." "He can't spell 'marijuana,' either," she adds. Always ready with an eager grin, Nate developed a puppy-dog need for approval -- and perpetually holding proved a quick way to earn the love, or at least tolerance, of his peers. Topher, nine years his senior, initially met Nate as a customer. An avid outdoorsman who hunted deer and elk for meat, Topher didn't have much in common with Nate but found him goofy yet likable, a "fat, funny kid" with a "big heart." How much marijuana was sold in America last year? The answer is not a number; it's a blinding flash of revelation. It's the sort of brilliant light-bulb burst that led young men - in their late teens and early 20s -- in Coeur d'Alene and Spokane on a Fantasy Island journey lined with the pleasant greens of weed, cash and adventure. It has revealed a much-wanted drug lord around here to be a smiley, cow-licked pizza delivery kid who looks like he'd mow your lawn and help old ladies cross the street. It has revealed that B.C. Bud, originally planted by draft-dodging hippies rebelling against corporate culture, can become just as big a commodity as McDonald's cheeseburgers and just as about as profitable. A month later, a woodcutter discovered Butler's body. "Once they found the body," says Detective Morgan, "it was like, 'Holy ****. It's not just kids out here smoking dope and buying Escalades and boats. There's a dead guy out here.'" 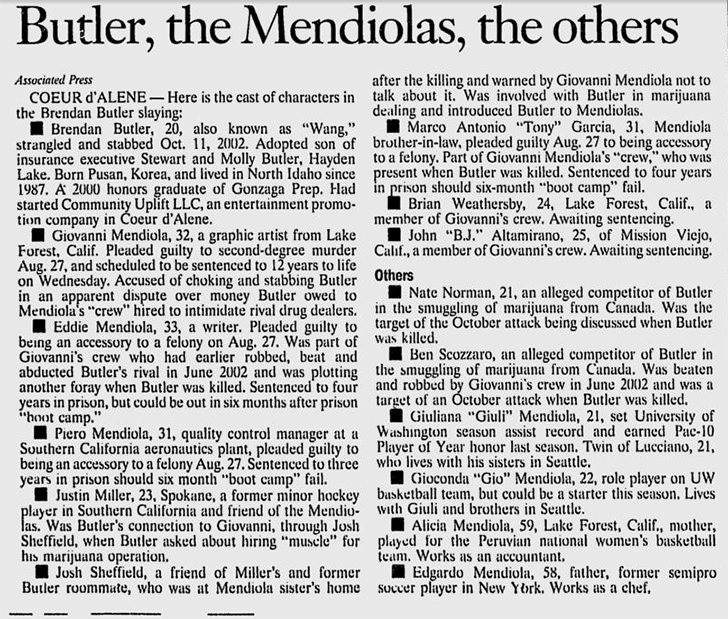 Investigators quickly tracked down Mendiola, after discovering his number in Butler's cell phone; the crew was arrested in March 2003. Police also began running surveillance on Nate's crew. Description: A high-school dropout and his 27-year-old friend smuggle marijuana across the Canadian border to make money. 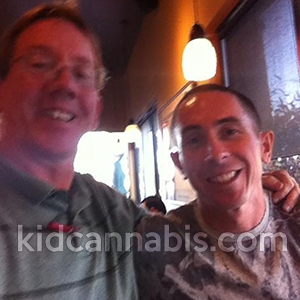 Contact admin@kidcannabis.com for copyright issues, questions and feedback.